Gov. Janet Mills delivers her inaugural address after taking the oath of office at the Augusta Civic Center in Augusta, Jan. 2, 2019. HALLOWELL, Maine — More than 500 Mainers are now covered under Medicaid expansion as Gov. Janet Mills moves to implement the voter-approved law during the Democrat’s first days in office with surplus revenue in a state account. There are still questions about how Medicaid expansion under the federal Affordable Care Act will be funded in the long term, but Democrats have made it a top priority after winning the Blaine House and majorities in both chambers of the Maine Legislature in the 2018 election. Maine voters approved Medicaid expansion — which former Gov. Paul LePage vetoed five times — in the 2017 election. Implementation was delayed in 2018 because of opposition from the former governor over cost concerns and in a lawsuit between his administration and advocates. A judge ruled last month that it should be implemented by February, and Mills vowed to begin implementing expansion on the first day of her administration. 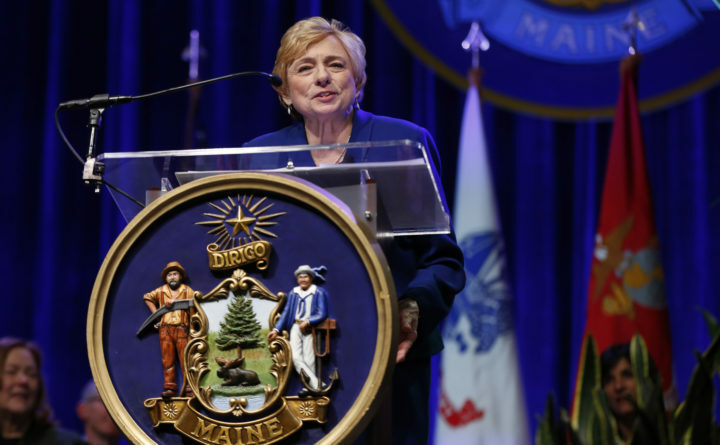 She fulfilled that with an order last week directing the Maine Department of Health and Human Services to begin implementation and work with stakeholders to enroll eligible Mainers. The department said on Thursday that 529 people have had applications accepted in the past week, though more than 8,000 applied between July 2, 2018 — when coverage was supposed to begin under the voter-approved law — and Jan. 4, 2019, the second full day of Mills’ tenure. The Mills administration’s work has included approving initial applications. Lindsay Crete, a spokeswoman for the governor, said the 529 people deemed eligible under expansion provisions can now see a doctor and receive care that will be paid for by Medicaid. During the court fight, the LePage administration rejected applications citing Medicaid expansion as the reason for applying. Mills said at a Thursday meeting of stakeholders in Hallowell that nearly 6,700 applications were denied before Jan. 4. Maine is still awaiting the federal government’s acceptance of a state application to expand the program, and her administration wants expansion-related coverage to be retroactive to July 2. The state’s Medicaid fund had a surplus of $37.7 million as of June 30, 2018, and Crete said it will be used to pay expansion costs through the end of this June, when the current two-year state budget expires. The Legislature’s fiscal office estimates Medicaid expansion would cost $55 million in the first full year. That’s under the unlikely assumption that every eligible person would sign up immediately, but applications could come in quickly now that the first ones have been accepted. “I think as information gets out to people that we have an administration that is actively seeking to cover them, that we will see the floodgates open,” said Malory Otteson Shaughnessy, executive director of the Alliance for Addiction and Mental Health Services, a group representing community health organizations. Mills told reporters on Thursday that she will work with legislators to fund the law in the upcoming two-year budget she will propose later this month “without tax increases.” No specific funding arrangement has emerged, though House Speaker Sara Gideon, D-Freeport, has drafted a bill aimed at funding the law without providing details of it.